Thank you to all who attended last night's community meeting. The Lincoln Common Construction Update presentation can be referenced here. Your patience with and support of the development of Lincoln Common has been vital to its progress and we cannot wait to open the doors to you all. As discussed at the meeting, below is the outline of our construction activity plan. Please note, all development work, including work hours and activities, are in alignment with the specifications outlined in the development's Community Agreement. No deliveries will take place prior to 8:00 a.m. Interior building construction activities, exterior metal panel work, and site work construction behind the construction fence will now begin at 7:00 a.m. Monday through Sunday, as needed, to get back on schedule. Each day, manpower will access the buildings via the exterior hoists/elevators. 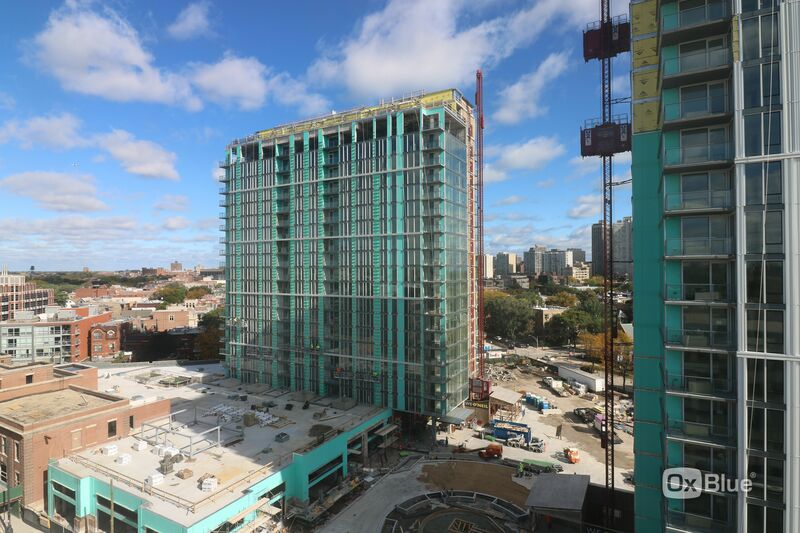 Construction is on track to fully enclose both apartment towers by the end of November, which will greatly reduce the impact of construction noise inside the towers. Thank you for your continued patience as Lincoln Common comes to life! Visit LincolnCommon.com for full project details. Photo: Project site October 11, 2018 10:30 a.m.